For over 30 years, STANLEY® Infrastructure has provided the electric utility industry with the most durable, most user friendly hydraulic tools. Our brand new line of cordless tool builds on that legacy by continuing to make work safer, less strenuous, and more efficient. 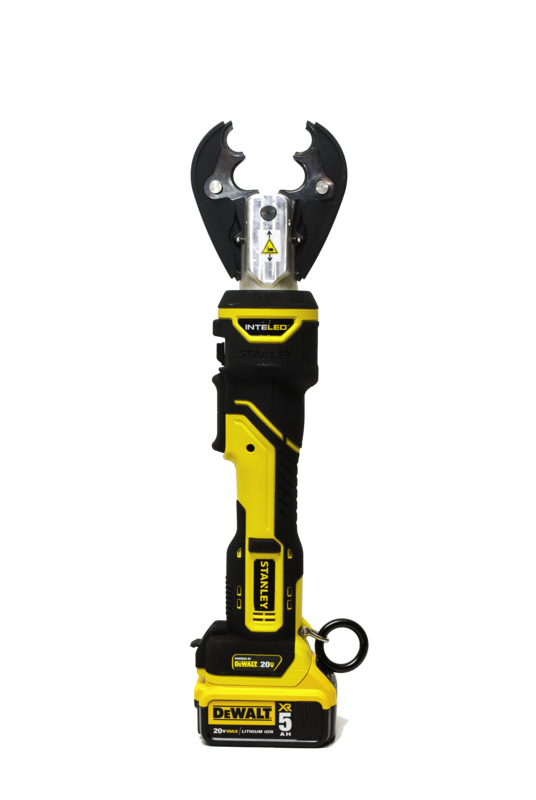 This line consists of both 6 and 12 ton tools with application specific handle and head styles. Using extensive user input, these tools were developed to help utility workers complete the toughest tasks they face every day on the job. Weather-resistant body with air-permeable membrane allows airflow while protecting critical areas from moisture and dust/dirt ingress. Anterior LED light ring illuminates work area and eliminates shadows. Colored lights provide feedback about crimp success/quality and offer maintenance alerts. Malfunction-resistant electronic components, sealed with a specialty coating. True 45,000 cycle wear rating. Superior handle design allowing tool to balance in user’s hand, limiting wrist and arm fatigue. Part of the DeWALT 20V MAX battery family. Batteries are compatible with every other tool in the DeWALT 20V system. Capacity Cu/Al Connectors to 500 MCM HTAPS to 4/0-4/0 Cu/Al Connectors to 750 MCM Cu Connectors to 500 MCM Al Connectors to 636 MCM Cu/Al Connectors to 750 MCM Cu/Al Connectors to 750 MCM Cu/Al to 2000 MCM ACSR to 1590 Steel Cable to 3/4" Al Rod to 1.5" Cu Rod to 1" Steel Rod to 3/4" Cu/Al to 2.5" Cu/Al to 1250 MCM Telecom Cable to 3.3"